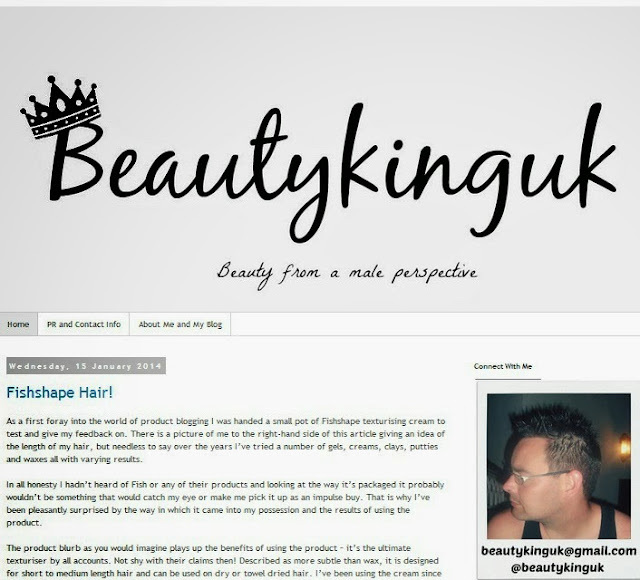 Beautyqueenuk | A UK Beauty and Lifestyle Blog: Introducing Beautykinguk! Yep here is and you can find him at www.beautykinguk.co.uk and on twitter @beautykinguk and bloglovin. Steve will be giving his view on the male side of things and will include everything from hair gel and hair wax to shampoo and moisturising cream. Please do go and give him some support.... thank you! Love this idea, my husband will be reviewing some things for me in a few weeks and there is such a need for males to actually review things for me!